Banksy has produced an absolute plethora of stunning designs over the years, yet none are quite as fun as the one depicting by this fantastic drawing decal! 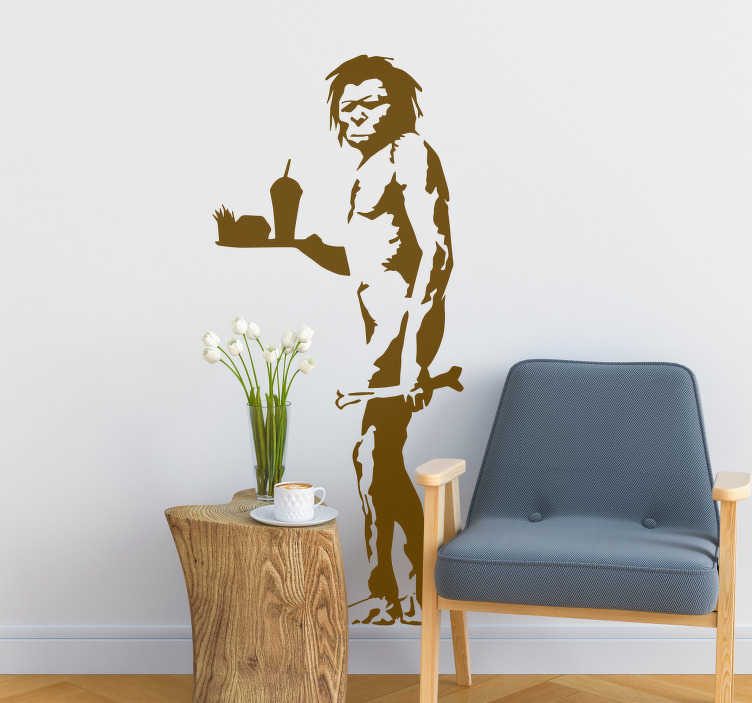 Depicts a caveman walking along with a tray of fast food, because that is how all humans seem to be programmed these days. An ideal Banksy wall sticker for those who want to decorate their walls with something of his!